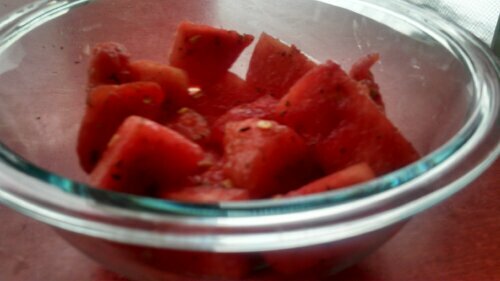 Watermelon with cinnamon and mint. NOM NOM NOM | Name-Brand Ketchup. ← Someone came up with a name for it: Multipotentialites. Holy god, is this stuff good.